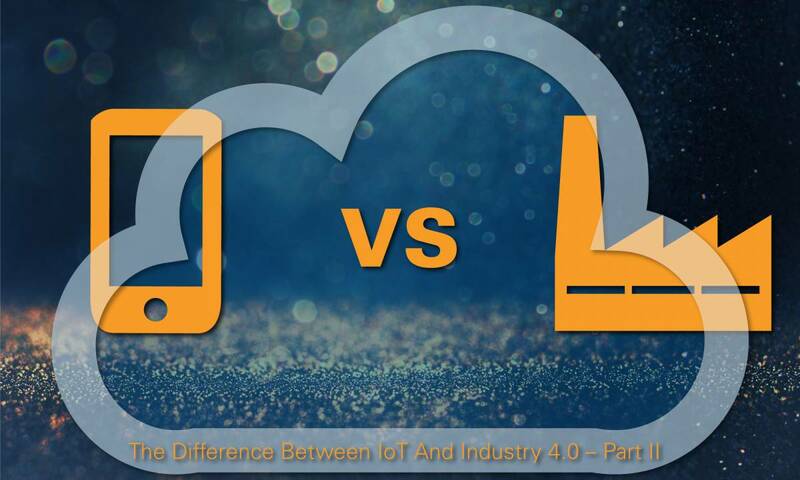 In the first part of this blog we established that one difference between IoT and Industry 4.0 are the requirements towards the technology. The next step we have to tackle in order to define the differences between the terms lie in the goals of the two along with the methods to reach them. The first question I’d like to take a look on is: What is the goal of IoT? 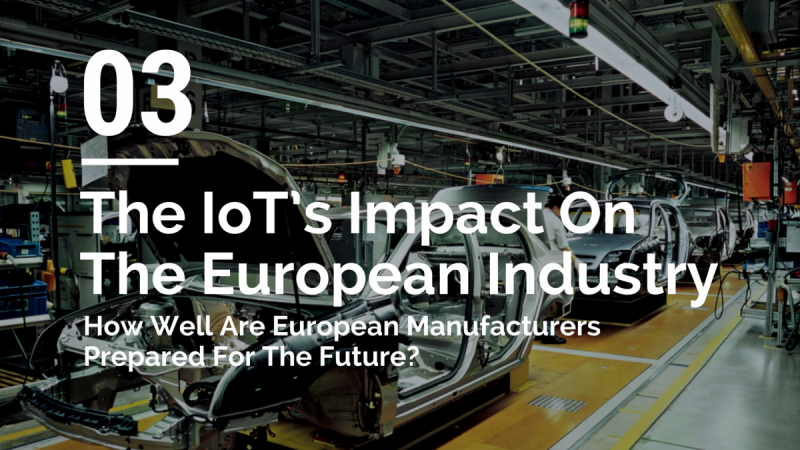 This is a tricky one as the predicted 20 billion connected devices or the unbelievable numbers of revenue which the IoT is supposed to generate are not goals but by-products of the process of moving towards our connected future. To be fairly honest, this is one of the problems with explaining the IoT in general. It’s something that has already started to arrive and goes on and on but is not really tied to a reachable goal. It seems the IoT is a vision of a connected future which creates new business models along the way trying to narrow the gap between real world and cyber space. In contrast to this, there are goals for the Industry 4.0 which we actually are able to reach and define. This might be the most important difference. Today the interconnection of sensors, control units, complete business locations and even the integration of supply chain and logistics partners in the company network are possible and already demonstrated by a number of modern companies. The goal of the cross links between a huge number of knots within the manufacturing processes and supply chain are to speed up production, improve the maintenance efficiency and schedule, to introduce new business models and to improve flexibility which is reflected in the ability to be more innovative. In a nutshell the two goals which drive the fourth industrial revolution are the optimisation of production and the integration of the capability to be innovative and flexible. Industry 4.0 therefore could best be described as the strategy which we develop and pursue in order to reach those prime targets. A big part of this strategy is based around IoT related technology such as M2M applications, cloud computing, modern human-machine-interfaces (HMI), big data analytics, cloud services and connected logistics services. In addition the implementation of the customer into the the network and thus the production process is a common part of the strategy realised through automatic failure reports, user tracking and user accounts/feedback. 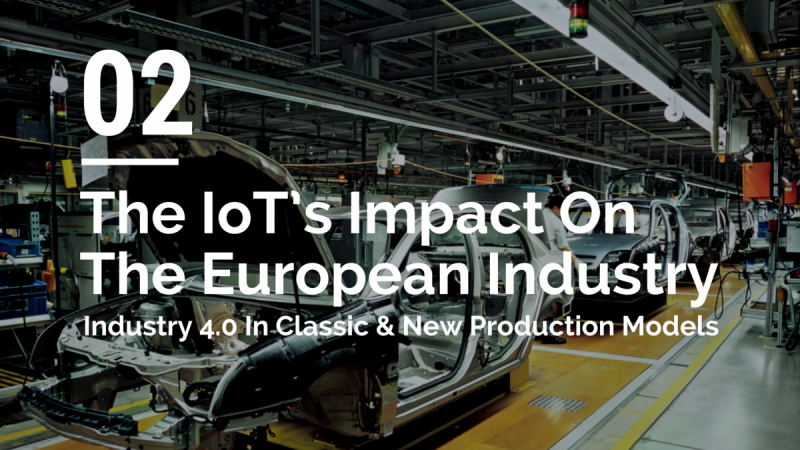 The goals pursued with this Industry 4.0 strategy will probably never be reached completely as due to technological evolution there will always be room for more flexibility and innovative capacities. 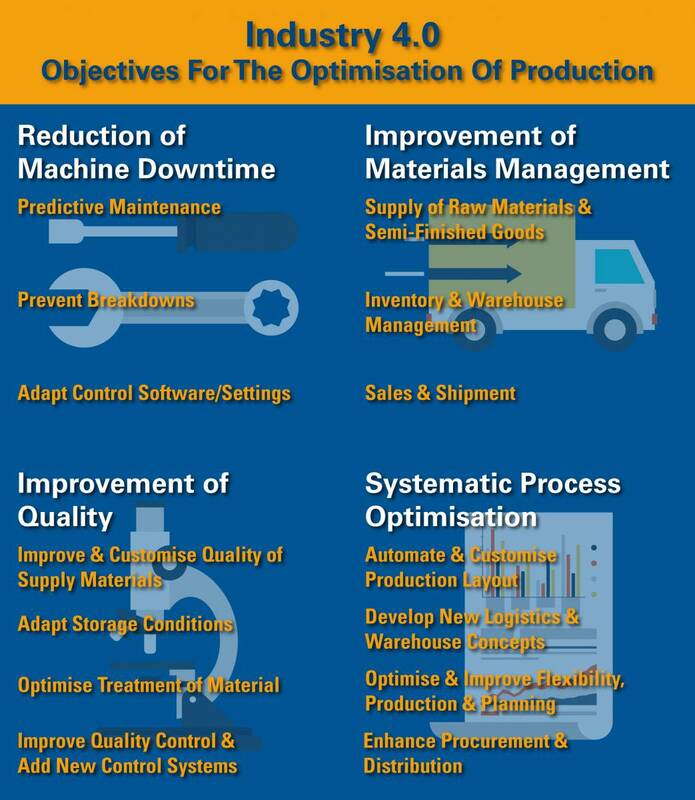 However we can concentrate on milestones and set up strategies for companies and value chains which help them to identify the most important objectives (see examples in the graphic below) and give them a chance to implement Industry 4.0 technology step by step in order to build future proven systems. 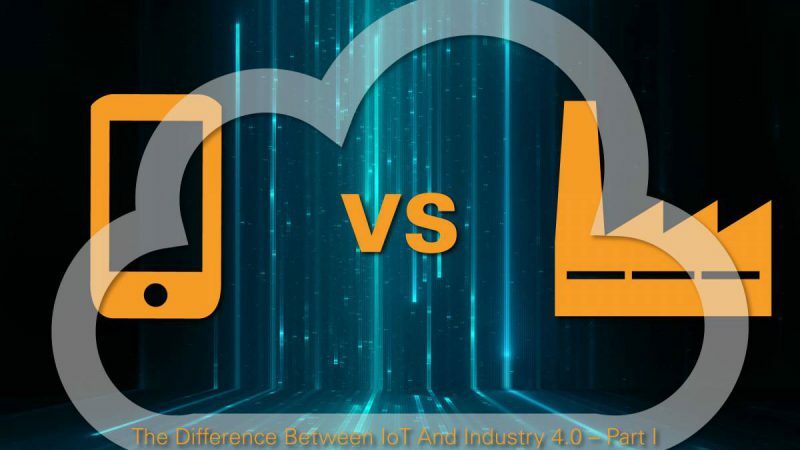 The quintessence of this comparison is that while the IoT remains an idea which will create new trends and business models on a daily basis the Industry 4.0 movement is a strategic approach using IoT-related technology in order to optimise production and secure the necessary agility to develop new and innovative products in the future. If you want to start implementing Industry 4.0 technology into your company and need support feel free to contact us here and checkout our dedicated Industrial Microsite here.